Real Madrid forward Cristiano Ronaldo has turned down a new contract at the club after deciding to leave next summer, according to reports. The 32-year-old is Madrid's all-time leading goalscorer having netted 414 goals in just 407 appearances for the club since arriving from Manchester United for £80m in 2009. 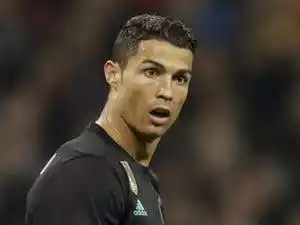 Reports during the recent summer transfer window claimed that Ronaldo was considering leaving the Spanish and European champions, but he eventually opted to stay at the Bernabeu. However, Spanish TV show El Chiringuito de Jugones now reports that the Portugal international has informed club president Florentino Perez that he wants to bring his record-breaking spell at the club to an end next summer. Real Madrid are understood to be determined to keep the four-time Ballon d'Or winner, although Ronaldo earlier this month insisted that he did not want to sign a new deal. Ronaldo, whose current contract does not expire until 2021, is reportedly unhappy with Madrid's failed pursuit of Kylian Mbappe during the summer, with Los Blancos missing out to Paris Saint-Germain in the race for the highly-rated France international. Ronaldo has helped Madrid to 13 trophies during his time in the Spanish capital, including three Champions Leagues and two La Liga crowns.